When it comes to slot machines that are a true definition of innovation, Yggdrasil is the team to turn to. Everything that this gaming provider comes out with is interesting and original. Seasons is no different, and the team at Yggdrasil bring a whole new meaning to the change of the seasons. Seasons is no slouch in what it offers its players. For one thing, the visuals are top-class. The four seasons create the theme of the online slot. There is the vibrant and picturesque woodland setting that has 5 reels and 20 paylines filled with splendid animals, such as an owl, a deer, a fox, and a hare that appear throughout the game, and which take you through winter, autumn, summer, and spring. Other additional symbols that will pay out are the berries, the toadstools, the pine cones, and the leaves. The game definitely has a style all its own, and that makes for an excellent playing experience. 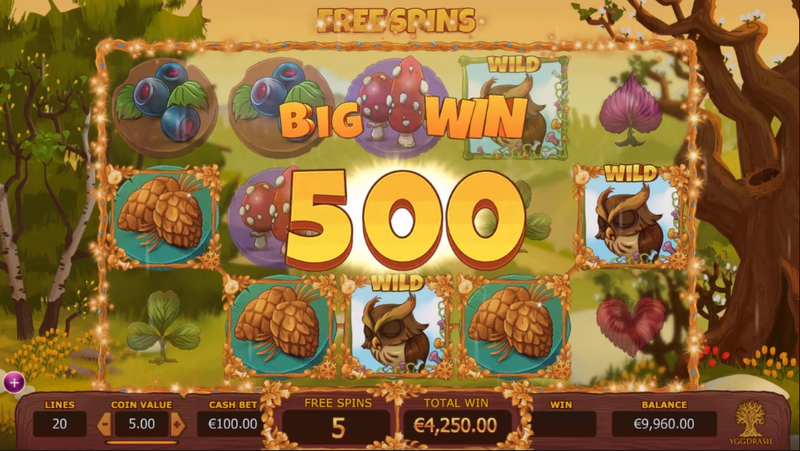 On top of great graphics, there are plenty of free spins on offer, multipliers, as well as a variety of Wilds and a sizable jackpot of 150,000 coins. Although there are many great features in Yggdrasil's Seasons, the main selling point of the game is possibly the fact that there are four Wilds. Each one comes with the possibility of multiplying wins by up to ten times, whether those wins happen in the base game or the free spins mode. You will get to travel through the various seasons, each season offering you a different experience as well as distinct features and Wilds. Here are a few details about the gameplay: The duration of each season varies and will range anywhere from 10 to 50 spins. Like nature, the number of spins is quite unpredictable. And don't worry about getting stuck in the wrong season as there are no bad seasons in this game. They each pay out the same and offer similar rewards. However, based on our experience, we have identified the winter season as being the best regarding big wins. The hopping hares will double any Wilds that appear on the screen. 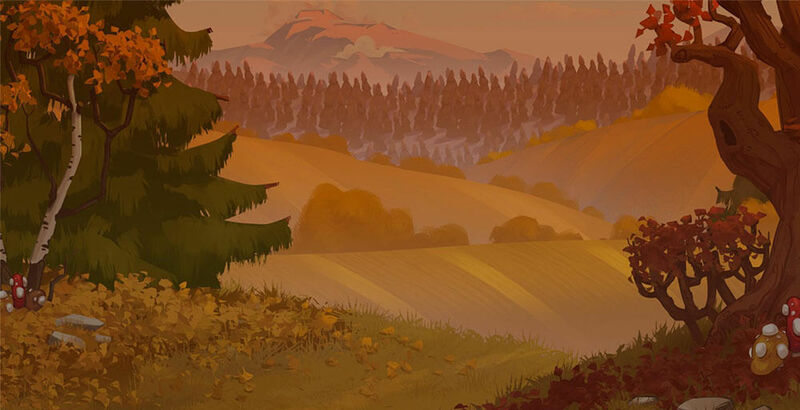 We also think that autumn might be the most profitable as it is possible to get your winnings multiplied up to ten times; however, it is a bit challenging to get that many Wilds. It also happens to be the most challenging season to get stuck in. Spring and summer are great too, each for their own reasons. There really no bad season in Yggdrasil's Seasons. Firstly, it has to be said that if you prefer your Android and iOS slots to be the same as their computer-based counterparts, it is best you reserve your Seasons gameplay for a computer as the mobile version is slightly different. This game is both beauty and brains with the reels giving you 4 different Wilds and 4 unique experiences. You are probably already anxious to start playing but take a few minutes before you get on with it. Make sure that your bank roll is sufficiently funded to enable you to be able to place a 1 to 5-coin wager per line. The minimum bet you can place per individual spin is €0.2 while the maximum amount is €100. If you don't know where to start, you can wager on level three at an amount of 0.60 per spin and then make your way upwards to 1. This will allow you to learn the game while not blowing through your bankroll too quickly. From our experience, the game payouts at the higher levels are quite good. Although the RTP is a bit on the low side, at 96.1%, there are plenty of other features that keep players coming back for more. Seasons is on a different level when compared to other games. It does not have the all too common layouts or the same kinds of payouts during the base game. As you play, you will be ushered from one season to another. On average, the seasons will change after around 10 spins, though it can be longer. The main attraction of each season is the Wilds that accompany it. • Winter: Hares are associated with winter and in this game that is no exception. The hare is the Wild in this season and once you hit it, it will duplicate and give you more Wilds. Because of this multiplier effect, you get some decent payouts here. • Summer: Again, as deer are associated with summer, the Wild in this season is the deer. Once the deer lands on an active pay line, it will expand in a cross pattern. What this means is that you can bag some good money from this Wild. • Spring: The air is crisp and fresh with the Wild symbol for this season. The Wild here is the owl and once it lands on an active pay line, you will get some free spins. It moves vertically, diagonally, and horizontally. As long as the owl is on the reels you will continue receiving free spins. • Autumn: The sly fox is the feature Wild icon for this season. Once the fox appears on an active payline you will get multipliers going up to ten times. Of course the more multipliers you get the higher the amount is that you get paid. This is where things become interesting as the free spins will be awarded in the same season. What is interesting about that is rather than making the game more complicated, it means you see the results of the bonus game unfold within the same season. Since one season focuses on multipliers, another on Free Spins, and another on expanding Wilds, it makes a lot of sense that the extras would not carry over to make things too complex to follow. The transition from one season to the next, along with its great visuals and design makes this slot a delight to play anytime and anywhere as it is supported byAndroid and iOS platforms. Besides the impressive multipliers and Wilds, your payouts will continue bouncing out to you thanks to the free spins. No matter the seasons, you can win all year round with Yggdrasil’s Seasons online slot.